NIGHT WITCH has taken off…the “girls” are flying. These past couple of weeks have been a whirlwind of feelings; exultation, pride, humility, fear, enthusiasm, courage….. 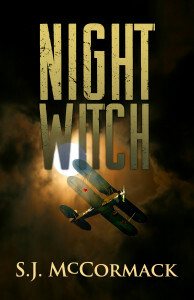 I am so grateful for those who have purchased a Kindle download or copy of NIGHT WITCH. I am humbled by their faith in me as a writer. They have spent their hard-earned money to read the words I have put together to tell this story that virtually no one has heard until now. If you have a few minutes, I would appreciate it if you could write up a review on Amazon. Thank you. I am working on the next part of this labor of love. It will be a surprise, so you will have to stay with me to hear what’s next. It will be pretty darn BIG if it works the way I think it will. Hopefully I will see you at the LAUNCH PARTY on Saturday,October 24, 7:00 p.m., Writers’ Cottage in Gilman Village, Issaquah. One Response to Girls Fly…Yes, they do! Wish I could be there for all these great parties! Have a ball, sweetie! You certainly have earned it. It will be GREAT!!! !